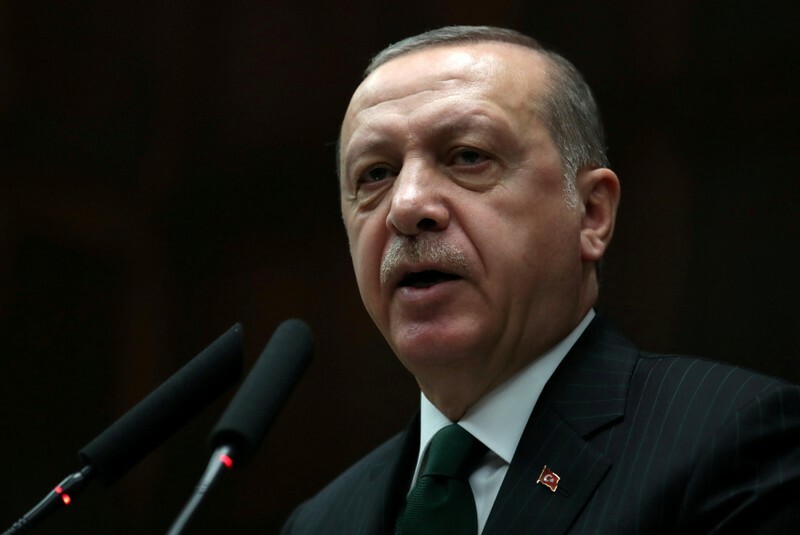 ANKARA (Reuters) – Turkish President Tayyip Erdogan on Saturday accused France of abetting terrorists by “hosting them” at the Elysee Palace, amid a diplomatic row between the NATO allies over Paris’s support for the Syrian Democratic Forces (SDF). Relations between Ankara and Paris have been tense in recent weeks, with France one of the most vocal critics of Turkey’s two-month-old military operation in northern Syria against the Kurdish YPG, which Turkey considers a terrorist organization. That came to a head on March 30 after President Emmanuel Macron met a Syrian delegation including the YPG and its political arm, the PYD, and gave assurances of French support to help stabilize northern Syria against Islamic State. Turkey said the pledge amounted to support for terrorism and could make France a “target of Turkey”. 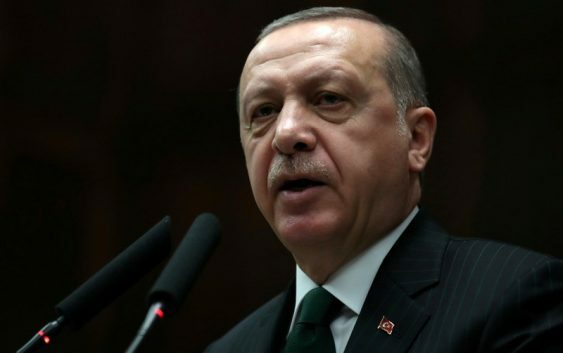 “France, you are abetting terrorism, supporting it by then hosting them at the Elysee Palace,” Erdogan told his supporters in the southwestern province of Denizli. “You will not be able to explain this. You will not be able to rid yourself of this terror burden… As long as the West nurtures these terrorists, you will sink,” he said. The split with France is the latest rift between Turkey under Erdogan and its NATO allies in the West. Turkey has also been infuriated by U.S. support for the YPG, threatening to extend military operations along hundreds of miles of border, including areas where American forces are deployed. France, like the United States, has already extended arms and training to the YPG-led militia in the fight against Islamic State, and has dozens of special forces members based in the region, angering Turkey. Ankara considers the YPG to be an extension of the outlawed Kurdistan Workers Party (PKK) that has waged a decades-old insurgency in southeast Turkey. Turkish forces drove the YPG from the northwestern Syrian town of Afrin last month, amid international criticism from its allies, notably from Macron. Ankara, meanwhile, has said it expects its allies to move their troops out of the way of a Turkish advance.